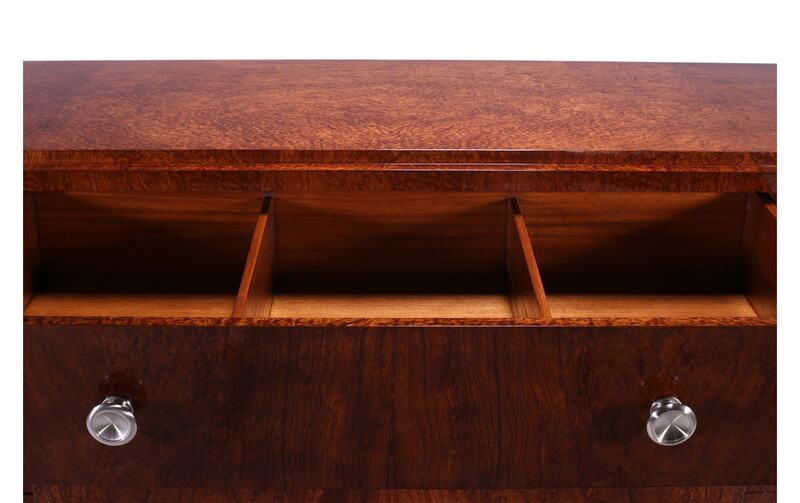 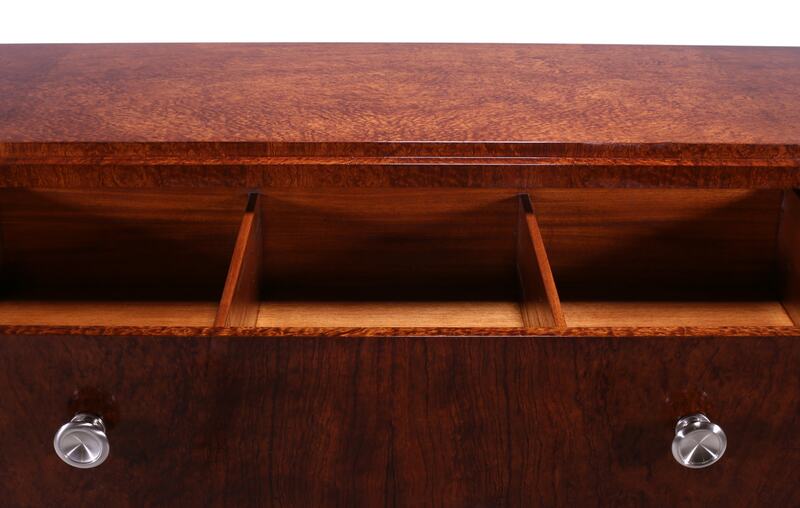 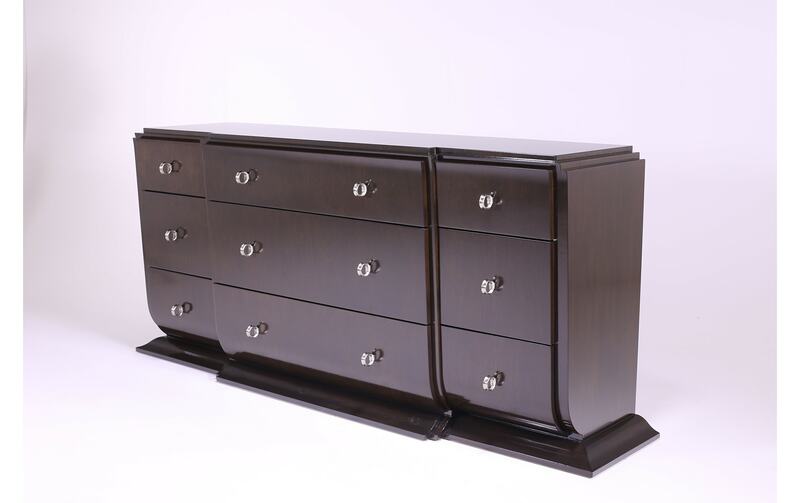 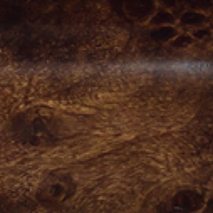 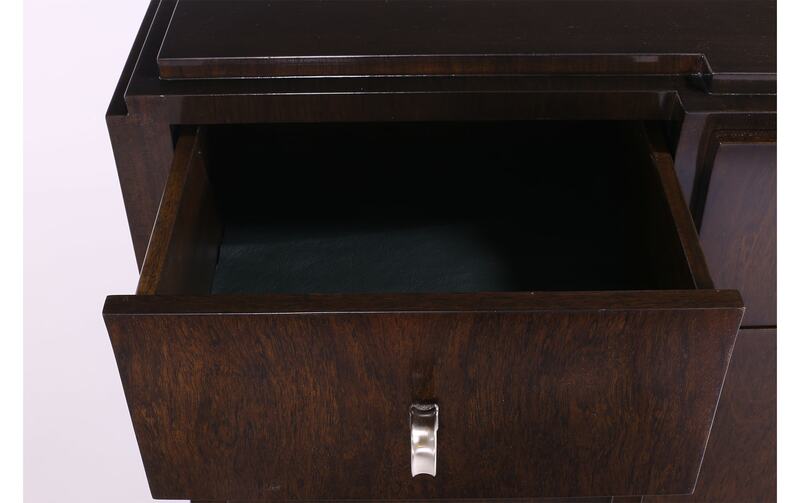 With a wonderful Art Deco style, the Trocadero Chest is carefully constructed with techniques passed down for generations. 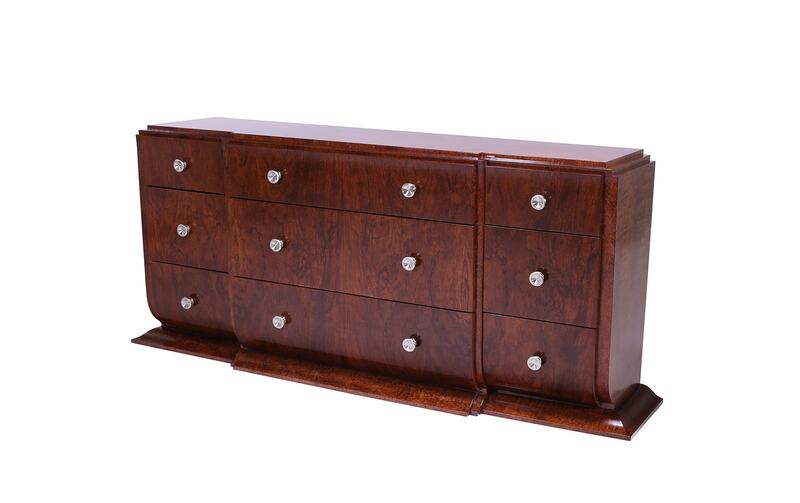 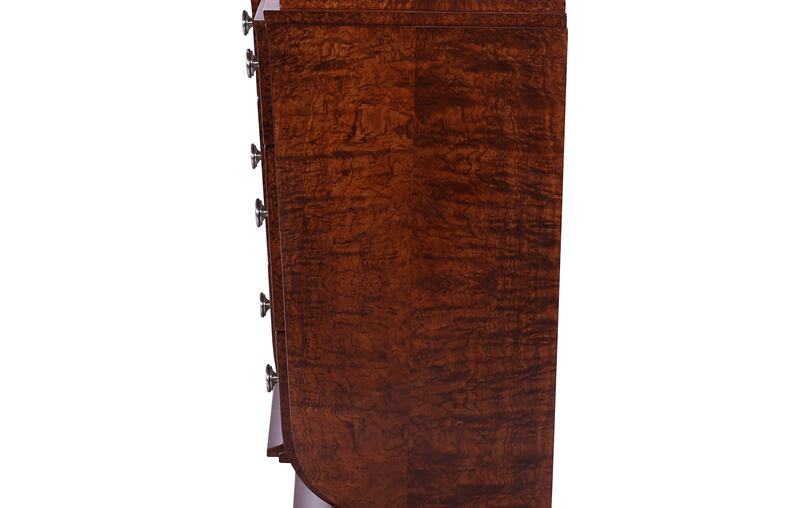 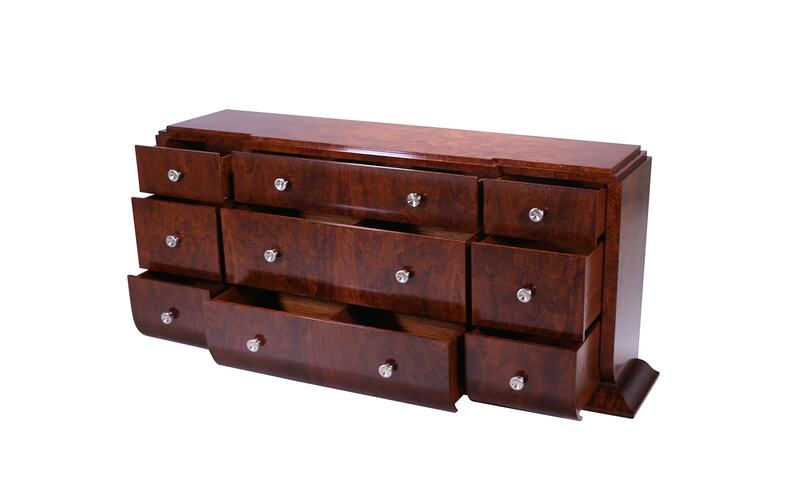 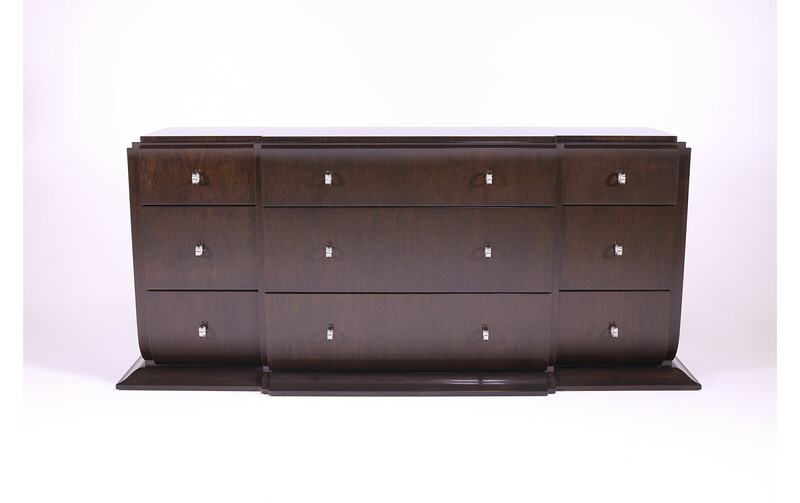 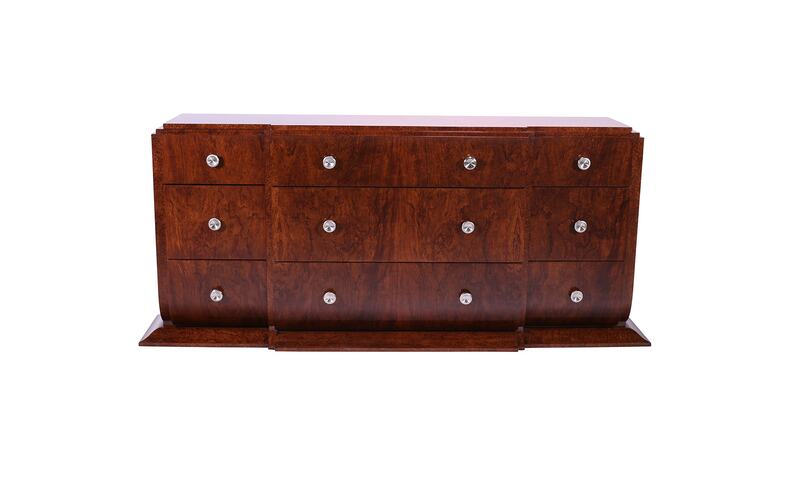 Hand carved to exacting detail, this nine drawer design is composed of a solid Beechwood frame, Bobingha veneers with bronze or nickel hardware. 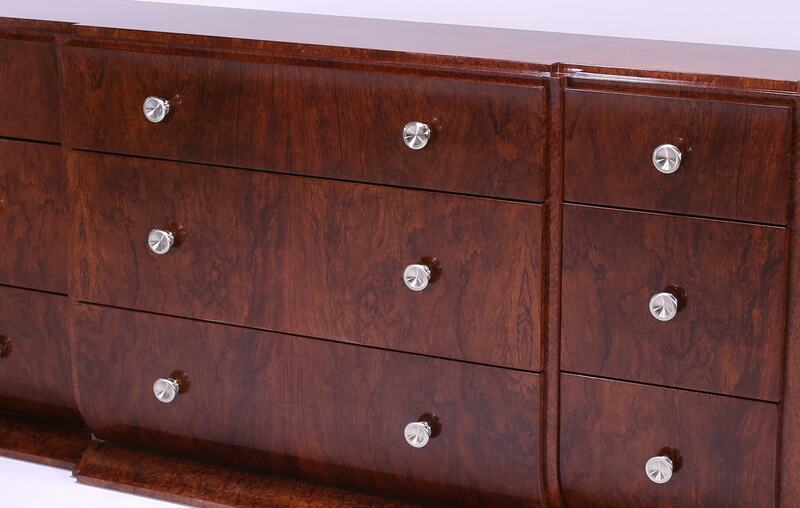 Part of our William Switzer Moderne collection, a series of heirloom inspired furniture crafted with unrivalled precision and care.